After all post-Amazing singles of Danny Saucedo who seemed to try pretty every possible direction from hip-hop to almost schlager-ballad last year the artist has finally chosen his path. New Danny's album is going to get a Spanish flavour and today Danny premieres his brand new single "Todo El Mundo (Dancing In The Streets)" which showing what he actually means. The song was co-written by J-Son, Jakke Erixson and Oscar Holter and it's a big summer track with Mediterranean rhytms not sounding directly like anything Danny did before and it's a pretty good thing that he has mannaged to make this step aside still staying pop all the way. 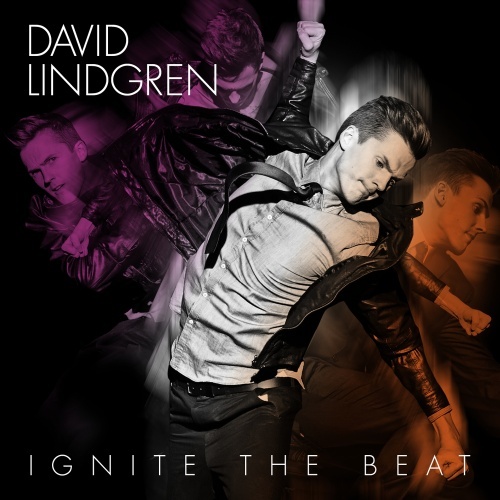 Brand new David Lindgren's album "Ignite The Beat" is out next week! Though we've already heard 5 songs on previously digitally released EP the album will give us 4 more tracks (+ intro). New songs have some amazing teams behind - it's Thomas G:son/Peter Boström's collaboration "Breakaway", Robin Stjernberg's "You" songwriters meeting Fernando Fuentes and Anton Malmberg Hård Af Segerstad and also two songs co-written by Darin. Today we can check one of Darin's tracks - "Move That Thing", the song was co-written by Tony Nilsson and basically you can feel Tony very well - the track is quite Nilsson's modern disco-pop with a big beat, high energy and tasty production. You can already hear Darin doing backing vocals which is always a good bonus. Zara Larsson has become a latest pop-sensation of Sweden, 4 of 5 songs from her debut EP has charted and the first single "Uncover" has gone platinum (official video on youtube has also gathered 3 million views). New EP is going to be released soon and here's the first sneak peek of it - new track "She´s Not Me (Pt.1)" which is in the way of "Uncover" is quite minimalistic not overproduced ballad where Zara's voice and beautiful tune are main things supposed to work and they actually work! Linda Pritchard who has released her debut album 2 years ago was constantly in the spot but basically her "Wicked Game" cover and "Little Christmas Tree" were the only treatments we got from her. Today Linda has presented a piece of the new song which is gonna be release on her upcoming album and what a nice surprise it has turned to be! "Be Like You" is a grand electronic reincarnation of Linda we knew before, wonderfully produced track grows from an epic ballad intro to a big dubstep-inspired (but not directly dubstep, it's more original and poptastic step aside) chorus with a high energy and loud vocals. Skip at 18.50 and enjoy! This year's Melodifestivalen final has turned to complete male and mostly rock dominance. All female schlager-(or ok, pop)power was left in semifinals and Carola has become the only saviour to fix it. She has definitely become a queen of the night with a dance-version of "Främling", the hit her grand career has started with 30 years ago at Melodifestivalen. Surely the pack wasn't intended to smash world dancefloors, just to schlageristicaly bomb the event and it has become a big highlight with an epic sing-along final part with arena. The track is also released as a single, let's enjoy it once again.